I really like green beans. I grew up eating them out of a can, so I didn't much care for them until my adult years. Don't even talk to me about frozen ones. Those are just evil little rubbery things pretending to be green beans. Here in the southwest part of the country, we love green beans with bacon. Well, most people do. Personally - call me crazy - I prefer them without. The main reason is just pure laziness. Some people just cut up raw bacon and let it boil with the green beans. Bacon should never be anything but crispy, in my book. But, I never want to take the time to fry bacon just to put in green beans. If I'm going to fry bacon, we're having breakfast. Or brinner. Depends on the time of day. Let's be honest here. If you have a choice between green beans or breakfast, which one will you choose? I rest my case. 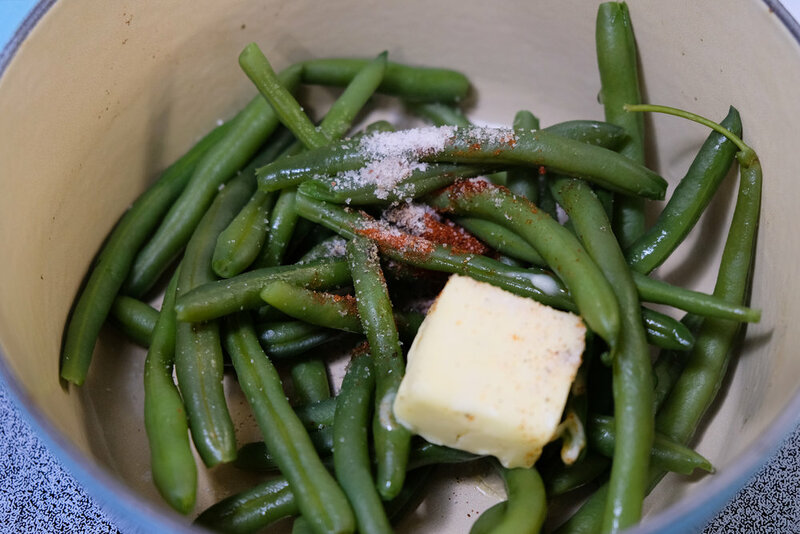 So how do you make fresh green beans taste good? They don't have a lot of flavor on their own. Keep reading to find out! Prepare the green beans however you choose. Snap them in half, leave them whole, whatever you like. Give them a good rinse under some cool water. Put the beans in a saucepan and add enough water to cover them. Skip this step and just steam them, if you prefer. Bring to a boil, cover, and let simmer for about 10-15 minutes. Let me take a second to talk about butter. First of all, if you don't keep your butter in a butter dish, not in the fridge, you're missing out. It's always the perfect softness, ready to spread. If you have always kept your butter in the fridge, believe me, this is life-changing. I'm honestly not sure how long it would take for the butter to go rancid. I've gone through spells of not cooking for a few days and even after sitting out for a couple of weeks, it's still perfectly fine. Yes, really! I particularly like the Heritage Butter Dish by Le Creuset, because it's extra wide and holds two sticks of butter. We use a lot of butter in this house! I'm not affiliated with Le Creuset, I just really like their products. I might be a bit obsessed. Alright, back to the green beans. Check tenderness with a fork. When they've reached desired doneness, drain them and rinse under cool water to halt the cooking. Add the drained green beans back to the pan, on medium heat. Add butter, salt, pepper and smoked paprika. Toss them around as the butter sizzles a little (but shouldn't brown). Once the seasonings appear well combined (about 2 minutes or so), they're done! Remove from heat and serve. Yum! 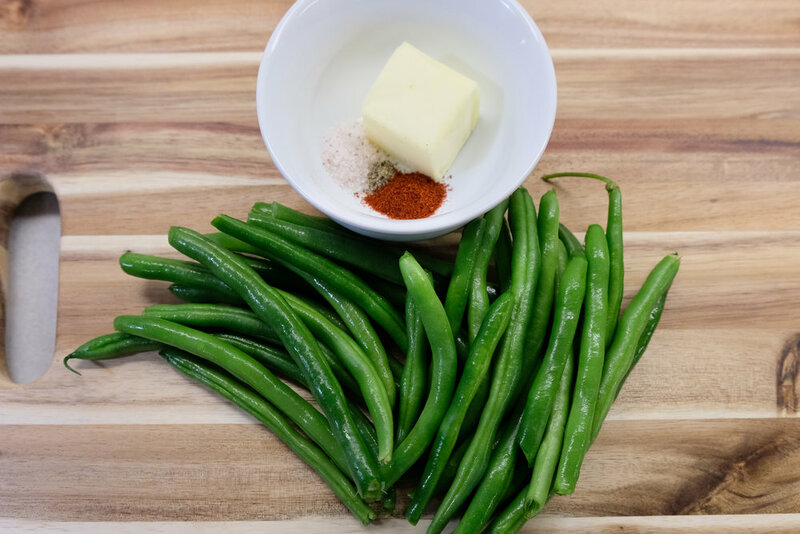 Please leave a comment below if you make these delicious green beans, and let me know how you like them or if you make any changes! If you know anyone who might like the recipe, do share!